Coraline has always been a little ahead of the curve for almost all of her developmental milestones: rolling over, crawling, walking, talking, long division. It seems like only yesterday we were counting how many words she was using in a sentence: four, five, eight, twelve. Now I have a teenager trapped in a 4 1/2-year-old’s body, who knows how to properly use the word compromise to get what she wants, speaks in paragraphs, and says things like, “I can breathe perfectly fine without using my nasal spray.” I won’t mention how inflated her ego got when she got bumped up to the fives at preschool late last year, “Even though I’m still four!” She’s also schooled herself on how to be passive-aggressive, prone to comment when the weather’s nice that “this sure would be a nice day to go to a park or playground.” Yes, kid, we know it would be. It should come as no surprise then that she had all of her baby teeth by the time her first birthday rolled around. 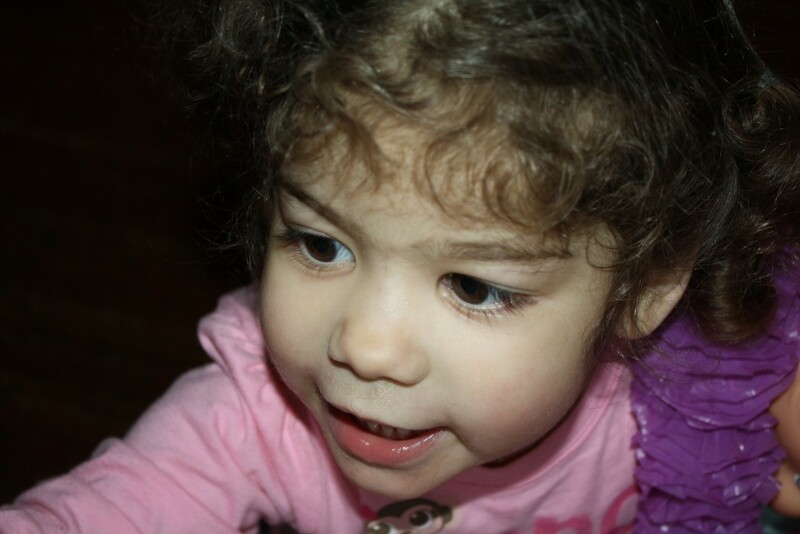 What did come as a surprise to me during her dental cleaning at the end of January was when her dentist announced that Coraline had two loose teeth. While I thought I might cry at hearing the news that my baby already had loose teeth, Coraline beamed, proudly exclaiming, “I’m growing up so fast!” My reply: an internalized sob. Her dentist said that while it was a little unusual to have loose teeth that early, it wasn’t unexpected given that Coraline had all her teeth by such a young age and that we shouldn’t worry about it. Of course, as soon as we left the office, Coraline wanted to call my mom to tell her the big news. She then went on to tell every single person she encountered that she already had two loose teeth and would ask if they wanted to see them. Everyone in the greater Knoxville area knew about those loose teeth and that she was in the fives even though she was still only four. Cut to a couple of Saturdays ago when we were all doing yard work. I asked Coraline if I could see how loose her tooth was only to discover it hanging by a thread. 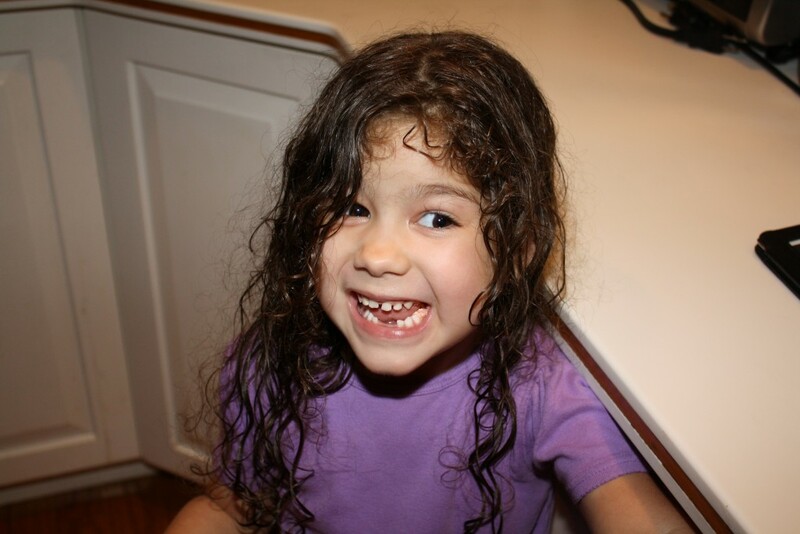 And so, at the ripe old age of 4 years, 6 months, and 12 days, and after a bit of hysteria on her part at the thought of her tooth finally coming out, Rich had the honor of yanking the tooth. She wailed like a woman in church about the blood (which lasted all of one minute), then looked in the mirror and said, “I can’t believe I lost my first tooth!” We celebrated by taking her to Bruster’s for some ice cream. Even though I don’t really care for ice cream, I indulged out of moral support. It took her a couple of days to work up the nerve to leave her tooth out for the Tooth Fairy. She was happy to find a tiny Iron Man toy plus $2 and a quarter. That’s a fortune when you’re 4 1/2 years old. One week and two days later, tooth number two was ready to come out. Rich again did the honors, only this time Coraline calmed down quicker. She looked in the mirror and saw the blood in her mouth, announcing, “I look like a vampire!” Clearly she was getting the hang of how to handle losing a tooth and looking forward to another visit from the Tooth Fairy. It’s hard to believe how quickly my baby is growing. She even got bumped up to the big girls’ dance/gym class recently, another fact she enjoys sharing with everyone she meets. Oh, and she currently has three other loose teeth. Pray for me. She is growing up so fast! She’s adorable and I love that she’s really a teenage girl trapped in a child’s body! Good luck.